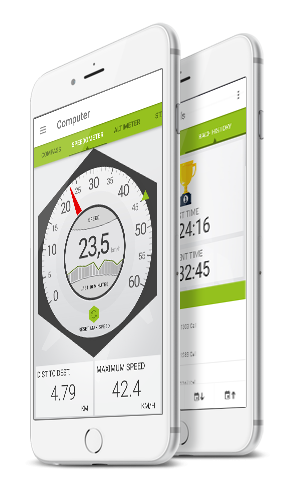 The free TAHUNA APP allows you to take advantage of all the tried and tested benefits of the TAHUNA outdoor navigation software on the move. Whether you are on holiday or at home – the TAHUNA APP offers stress-free and reliable navigation and provides individual navigation profiles, detailed route planning and lots more extras to your smartphone or tablet. The TAHUNA APP also makes it easier to link to other mobile devices, allows you to analyze your data in comfort and installs updates automatically. 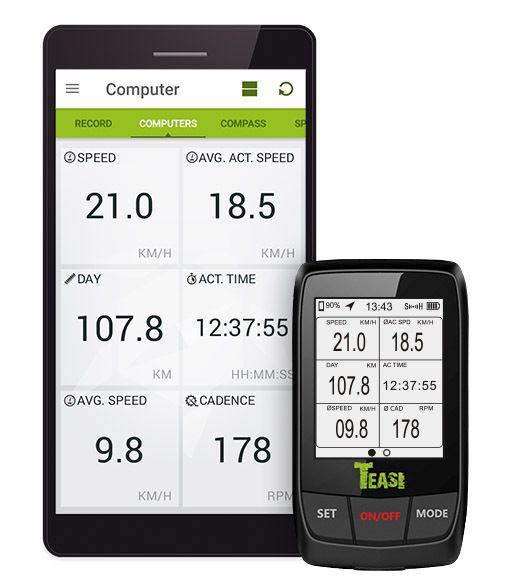 At first glance TEASI CORE is a classic bike computer displaying basic values such as speed, covered distance, daily kilometers, etc.. Its full performance it develops only in combination with the TAHUNA APP. This transfers navigation instructions as well as incoming messages and calls to the bike display.